Item MBP-093 - A road sign warning of danger (peligro) ahead on the road. Honduras, ca. 1982. 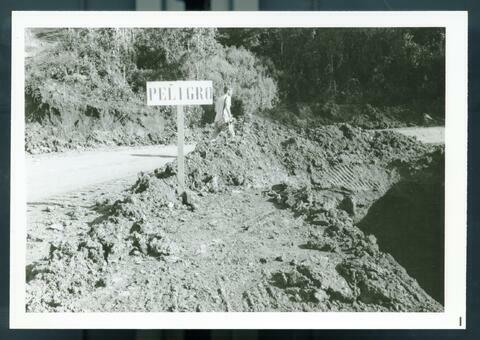 A road sign warning of danger (peligro) ahead on the road. Honduras, ca. 1982.